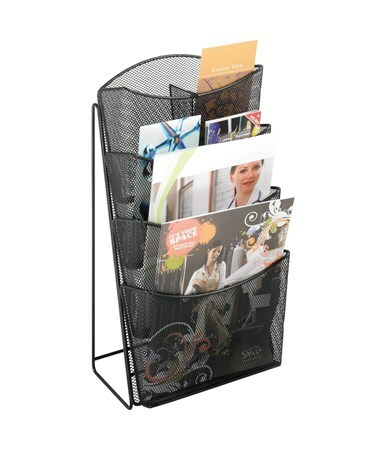 The Safco Onyx Mesh 4-Pocket Magazine Rack gives a stylish touch to organizing and displaying magazines on any desk. It has four pockets that are layered on each other and each has a removable divider that converts the magazine-sized pockets to pamphlet-sized ones. It has a tough stand or base for it to maintain an upright position on the counter. 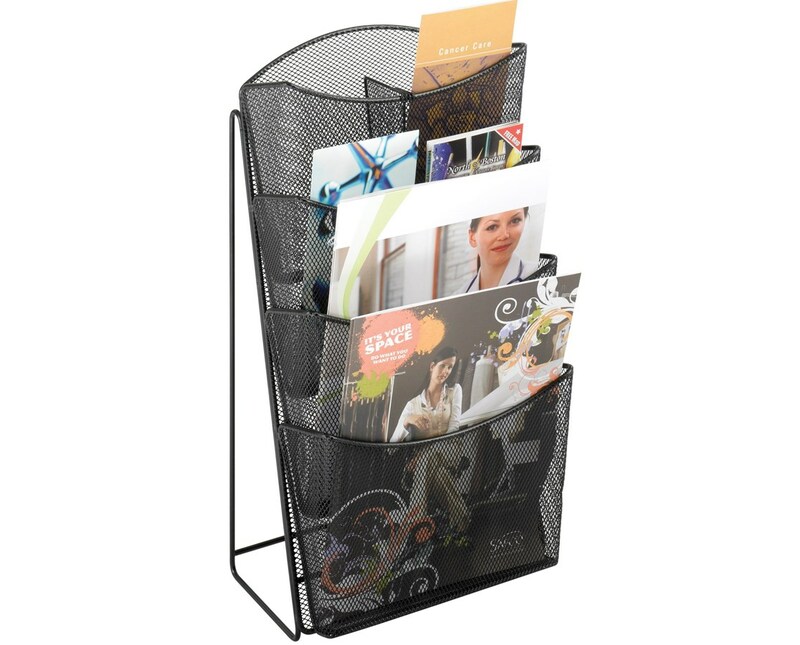 This rack is made of steel mesh with a powder coat finish and is GREENGUARD certified, which means it is safe for indoor use.